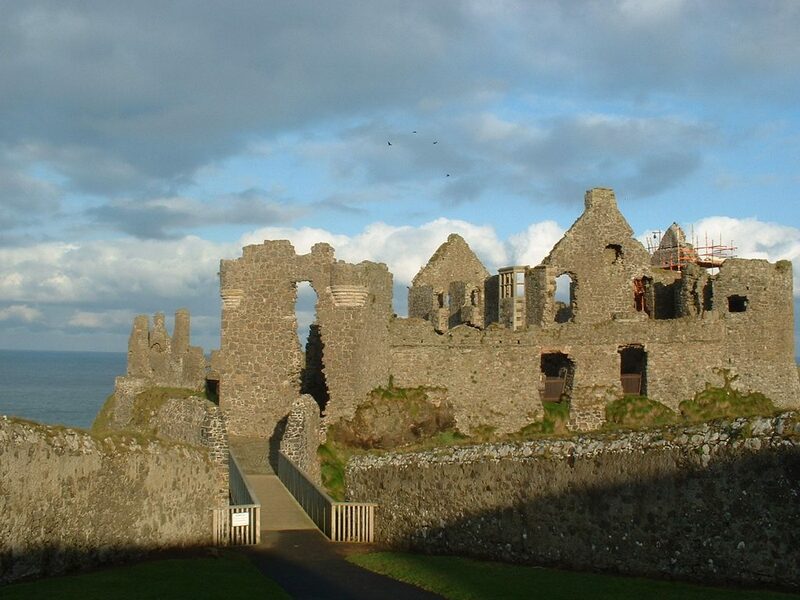 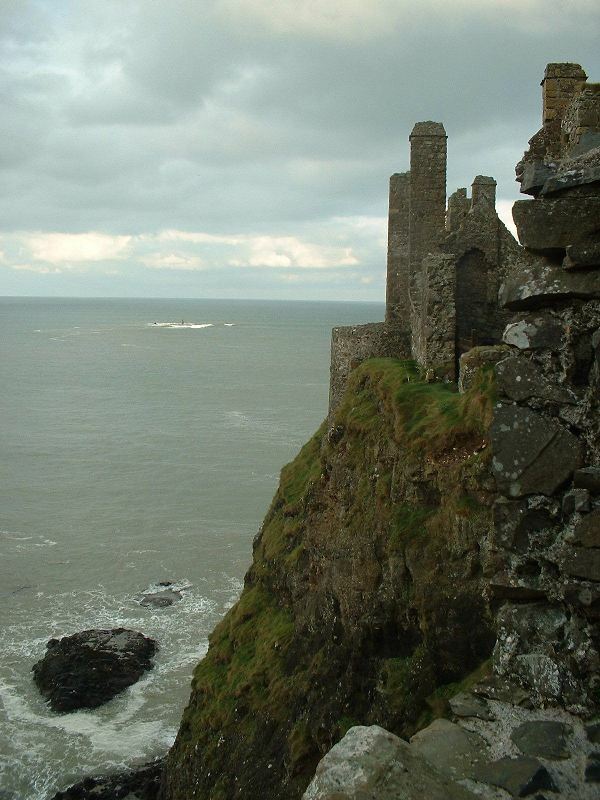 Dunluce Castle, mentioned in A Tour of Ireland ~ Episode 30, is one of the most romantic and dramatic ruins clinging perilously on rocky cliffs. Most of the fortifications date from 16th & 17th centuries. 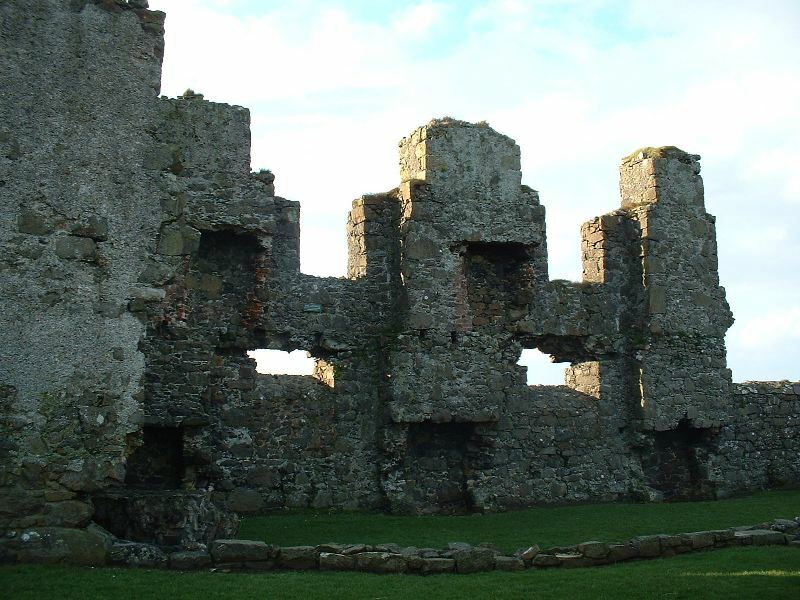 It was once the headquarters of the Mc Donnell Clan. 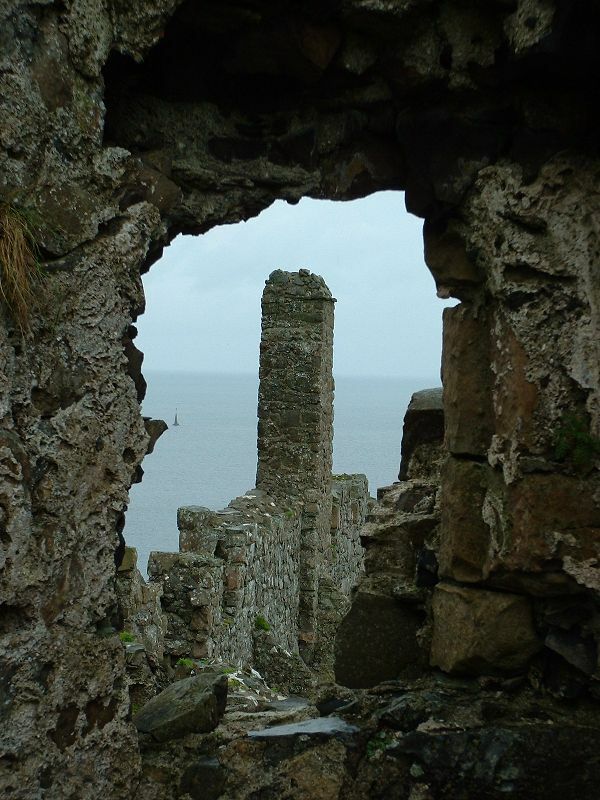 Constantly fought over, it eventually succumbed to the power of nature, when half of the kitchens fell into the sea one stormy night in 1639. Holy heathens, I am glad that I was not around and peeling the potatoes for dinner that day! The castle was abandoned shortly afterwards. It provides plenty of ‘openings’ for me to share. 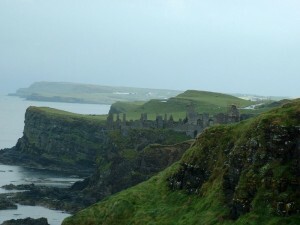 These photos are all from my archives – different visits & years, in the days before I heard of blogging. 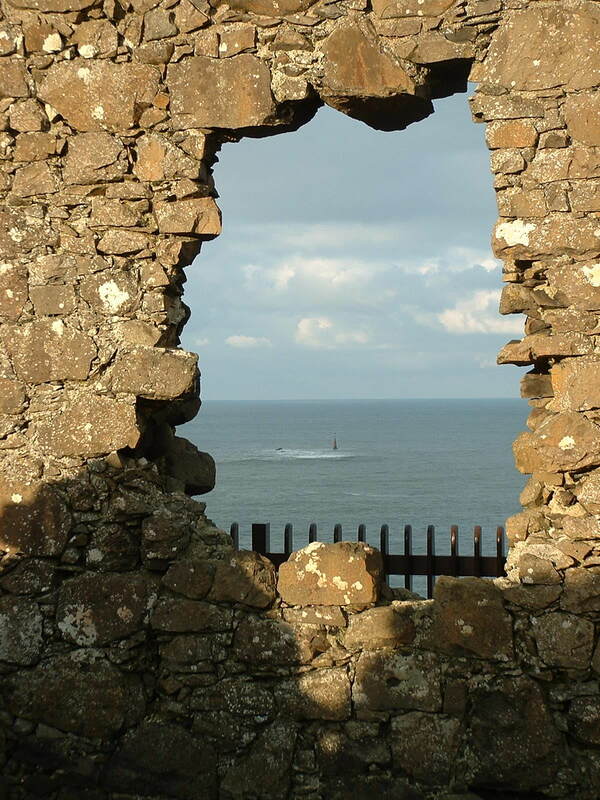 This entry was posted in Ireland, Openings, Photography on September 1, 2012 by Grannymar.